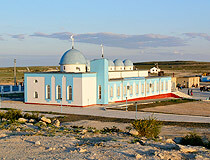 The capital city of Mangystau oblast: Aktau. Mangystau (also spelled Mangistau) oblast is situated in southwestern Kazakhstan, east of Caspian sea. 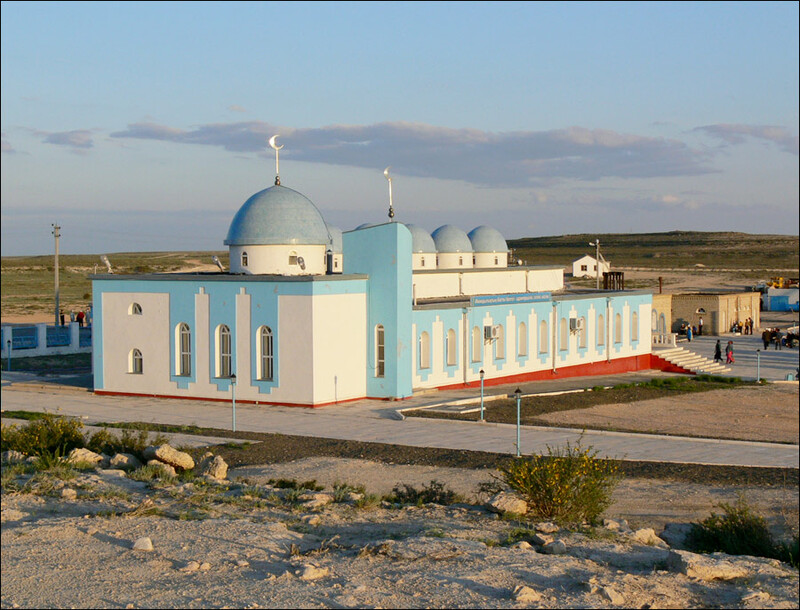 Mangystau oblast capital is Aktau (former Shevchenko) city. 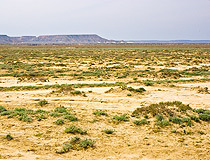 Mangystau oblast consists of vast flat-lands, with some depressions (Batyr Depression is 425 feet (130 m) below the sea level). Mangystau oblast population is about 417,000 (2009); land area - 165,600 sq. km. 11 March, 2019 / Snow-white landscapes of Sor Tuzbair. 17 February, 2018 / Picturesque Chalk Landscapes of Boszhira. 24 November, 2017 / Valley of Stone Balls on Mangyshlak Peninsula. 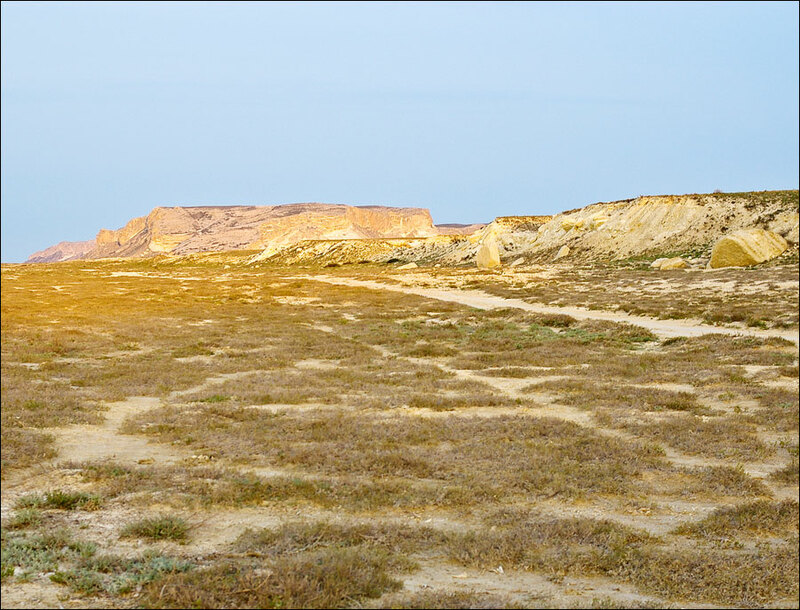 10 November, 2017 / Senek Sands - a small desert in the Mangystau region. 27 July, 2017 / Karynzharyk Depression in the Mangystau Region. 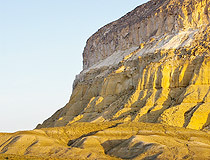 Mangystau oblast is an industrial region, about 25% of all Kazakhstan oil is extracted there. “Sea gates” of Kazakhstan – Aktau city – is located in Mangystau oblast. Economical growth of the region was entailed by the fact that in 1950s geologists found there richest deposits of uranium, oil and gas. 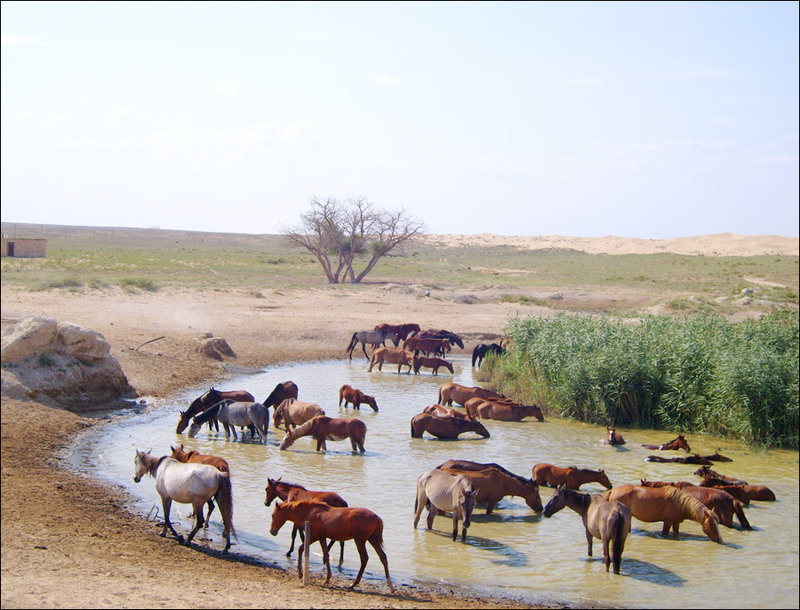 At present the oblast is one of the most prosperous areas in Kazakhstan. Today the population of the region is growing due to immigration. The climate is of sharp continental type, extremely droughty. The average temperature in January is 7 degs C below zero, in July 27 degs C above zero. Precipitation within a year is 100-150 mm. Mangystau region is inhabited by Kazakhs, Russians, Ukrainians, Tatars, and other peoples. The only major city is the capital, Aqtau city, on Caspian Sea, but for the various small communities there is a network of railroads, built since the 1960s. 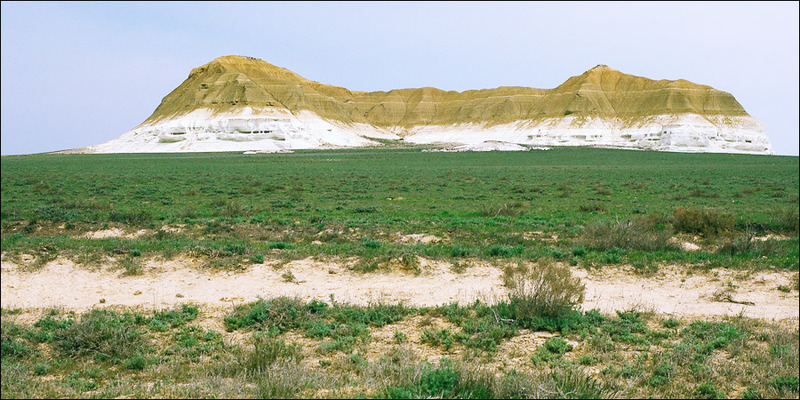 Mangystau oblast is the land of ancient civilization, an archeological open-air reserve. In 1,000 B.C. the land of Mangystau was crossed by Great Silk way from Khorezm and Khiva to Europe and Middle East. Along this way on plateau Ustyurt there were fortresses, settlements of craftsmen, cattle-breeders and hunters. Archeological finds prove there was a fairly high living standard in these fortresses and settlements. The great migration of peoples and connected with it endless wars broke off the Great Silk way through Ustyurt and Mongol invasion finally buried it. 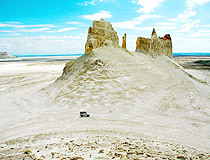 The fortress Mangyshlak (Kazakh. “Mangystau”) which existed in 10-13 centuries as a large trade post gave its name to the whole peninsula, but its exact location is unknown. 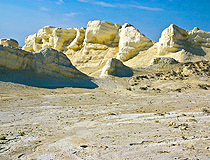 In Mangystau oblast there are unique archeological and historical monuments preserved from the time when the country was prosperous, among them rock paintings-poems, wonderful constructions and mosques Beket-Ata, Shakpak-Ata, Shopan-Ata, Masat-Ata, visited by endless streams of pilgrims not only from Kazakhstan, but also from Turkmenistan, Uzbekistan, Russia and Caucasus, Iran and Turkey. In 1850-1857 famous Ukrainian poet Taras Shevchenko was in exile in the town Fort-Shevchenko of Mangystau oblast. 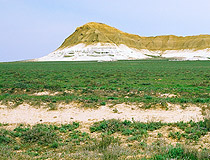 Mangystau oblast is rich in petroleum and natural gas, especially in the Mangyshlak oil and gas region of Mangyshlak Peninsula. 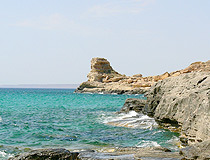 Mangyshlak Peninsula also contains deposits of phosphorites and coquina. 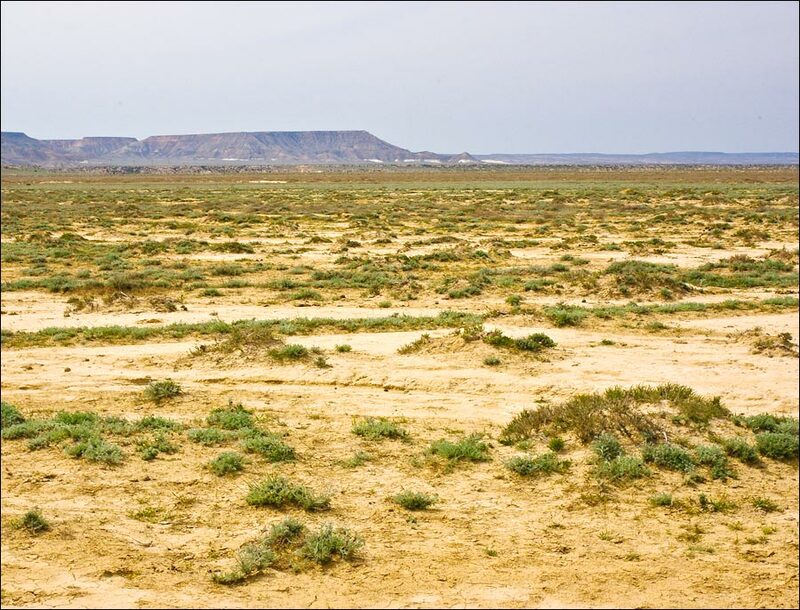 The desert climate of Mangystau region is continental and extremely dry, permitting virtually no crop farming and only limited raising of sheep, camels, and horses. 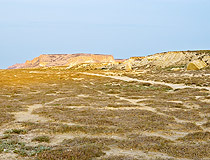 Mangyshlak is often called a treasure peninsula of Kazakhstan. A wealth of mineral deposits have been found here. They form the basis for the Mangyshlak territorial-production complex which is now being set up. 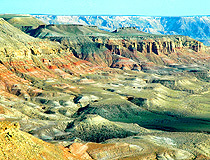 Oil and natural gas are the main riches of Mangyshlak peninsula. 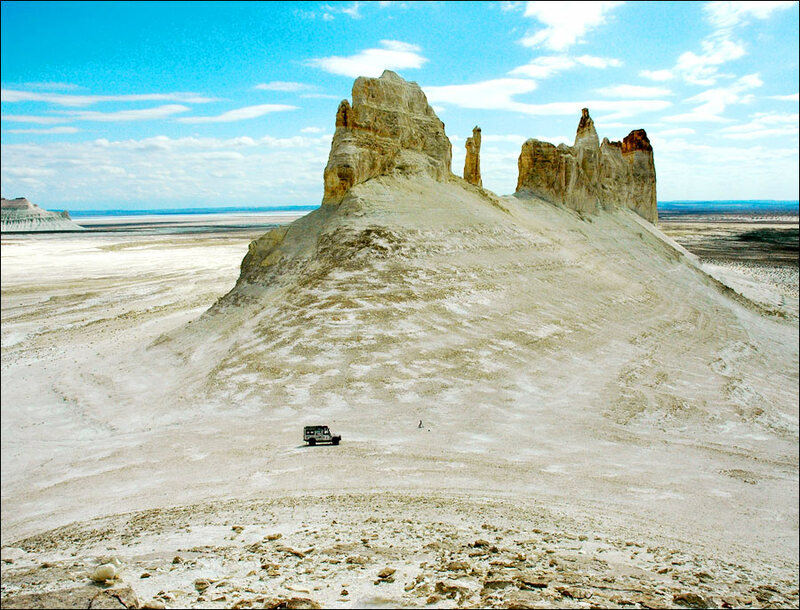 Many derricks have sprung up in the desert with settlements clustered around them. Today they provide Kazakhstan with millions of tons of oil and gas condensate and billions of cubic meters of natural and casing-head gas. It is planned to increase the production of Mangyshlak oil by sinking new oil wells, mainly at Buzachi. 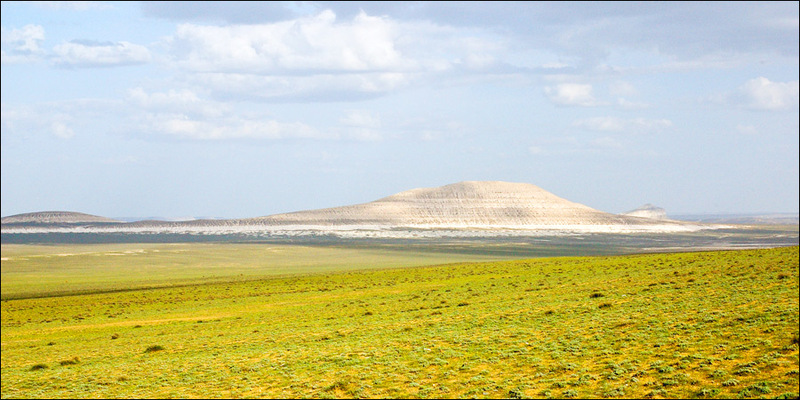 Buzachi is the northernmost cape of Mangyshlak situated 300 kilometres from Aqtau. Buzachi oil, deposited underneath salt marshes, is unique in its composition. It is metal-bearing, containing a large amount of vanadium which is used in the production of alloyed steel. Although Buzachi oil occurs at a relatively small depth, between 300 and 1,000 metres, it is very difficult to extract it because of its high viscosity. To increase the yield of the oil pools, various advanced methods of oil extraction are used. Quite a few problems had to be solved before oil extraction in Buzachi could begin. One of them was floods. Westerly wind blowing from Caspian Sea raised the water level, causing the low-lying coastal areas to be flooded. That is why the development of the local oil fields began with the building of a 32-kilometre-long dam. But while solving some problems the work-shift method also creates quite a few others. For instance, it is costly; the expenditures are acceptable at the initial stage, but not over a long period. And according to estimates, the period of developing Buzachi oil fields will be a long one. So why get to work by air, and why live in hostels, however comfortable and well-appointed? And how would one go about sending a doctor, a barber or a cultural center manager to a work-shift settlement? The time has come to settle down for good and make one’s home in that land. In the opinion of experts, it would be economically expedient to build a permanent large urban-type settlement in Buzachi. This will not only improve the everyday life of Buzachi residents, but will also substantially speed up the development of the area’s productive forces. It will create the necessary conditions for attracting people to these parts and for the operation of other industries serving the needs of the oil industry. A survey conducted among the people working there has shown that most of them are in favour of settling down in Buzachi. 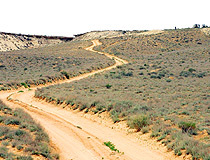 Mangyshlak means “a thousand roads” in Kazakh. And the peninsula lives up to its name. Transport arteries, above all gas pipelines linking it with Kazakhstan industrial centers, play a major part in developing the natural riches of Caspian desert. Motor roads and railways have been built here, and air routes connect the peninsula with various parts of the country. Ships in transit from the northern seas call at the local port of Aktau city. Oil tankers lying alongside wharves and cargo ships riding at anchor in the roads are evidence of the growing significance of Mangyshlak in the economic life of Kazakhstan. Products of enterprises that have recently emerged on the peninsula make up a large part of its freight turnover. 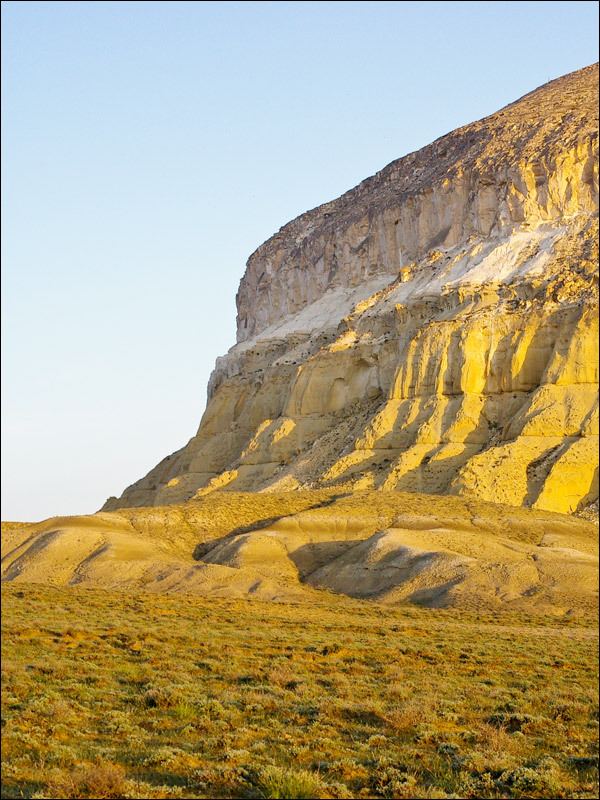 susan asks: Is there a Kendirli-Kayan plain or plateau in southern Kazakhstan? I think that you mean Kendirli–Kayasan plateau situated on the territory of Karakiyan district of Mangystau oblast (region) of Kazakhstan. 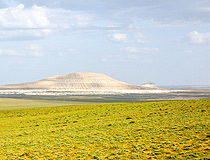 Also the Kendirli–Kayasan nature reserve is located on that plateau. Great article! I think you should add about Mangystau region's mysteries. 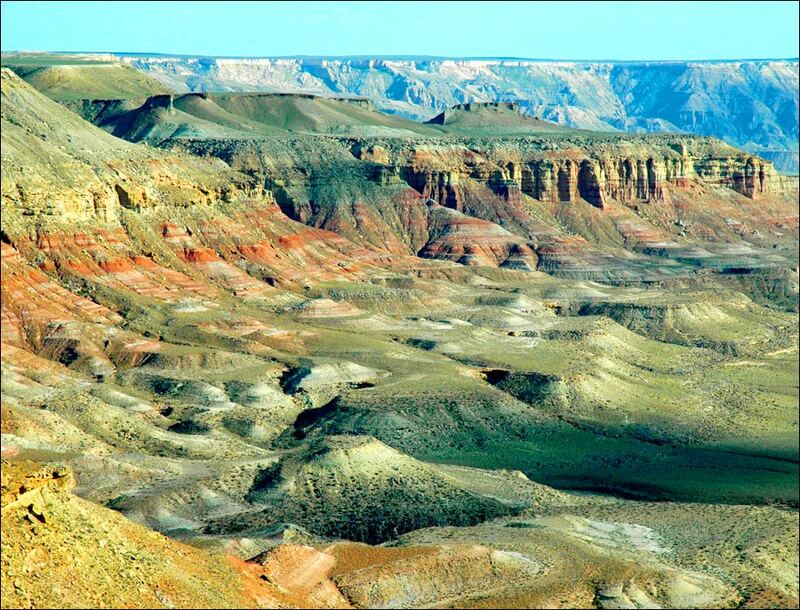 Like mystery of Beket-ata, Sherkala.